This is a .NET Windows Forms application, which runs automatic scheduled scans for open issues in selected GitHub repositories and/or organizations and notifies the user with new findings in real time from the system's notification area (a.k.a. System Tray). 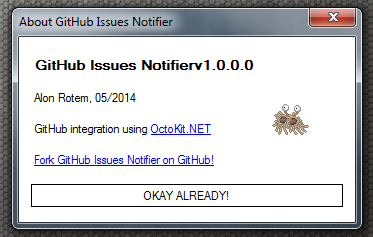 GitHub Issues Notifier uses OctoKit.NET open library to easily integrate with GitHub's API. Allows selection individual repositories and/or entire organizations to follow. Allows hand-picked repositories to be left out and ignored. Runs in the background from Window's notification area (System Tray). Can run automatically when Windows starts-up. Performs automatic scheduled scans for new issues in the background at configurable intervals. Easily performs scans on demand at any time with a single click. Reflects the current status in the notification icon itself (yes, I know design is not my strong side). Allows the definition of an SLA in which issues are declared as "late". 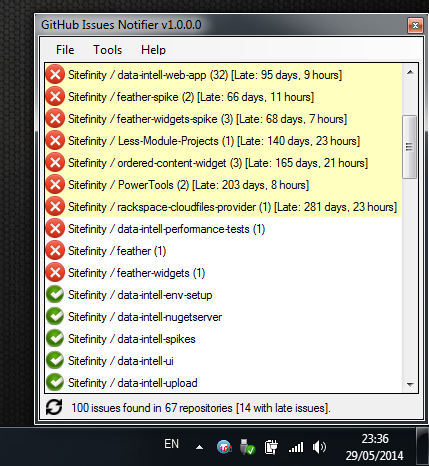 Namely, if a repository has an open issue which has not been addressed within a certain number of days (or hours), that repository is highlighted as late. Pops up balloon notifications whenever new scan-results are retrieved. Gives a quick overview list of all the tracked repositories, differentiating ones without any open issues, ones with open issues and ones with open issues which are determined as late according to the defined SLA. One-click to get to the repository's issue list on GitHub. 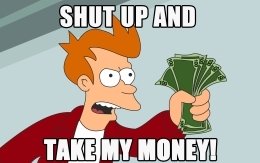 Pending features will include concentrated email notifications as well. A balloon popup notification indicates new findings. Balloons!!! You got a problem with that, HATER?? Open issues indicated by icon-colour and overlay text. Informative tooltips. Because why the hell not?! Once the list is refreshed, you get an easy overview of your selected repositories. Ones with late issues are highlighted, others are marked as either red (plus the number of open issues) or green. Clicking a repository sends you right to the repository's issues page on GitHub. An animated screenshot. You got a problem with that, HATER? A quick overview. 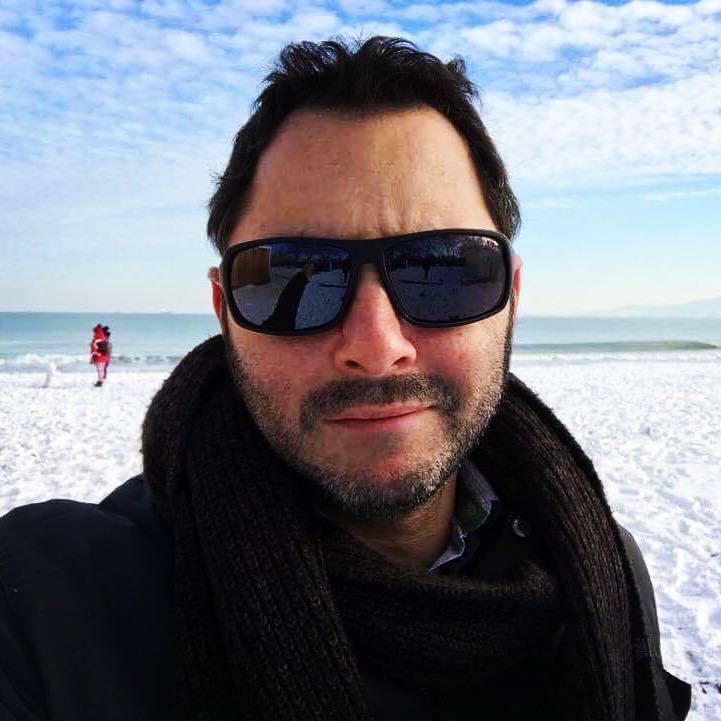 Click a repository to go to GitHub. To get the full project source, fork it (or download it as zip) from GitHub. To get just the application without building it, click here.